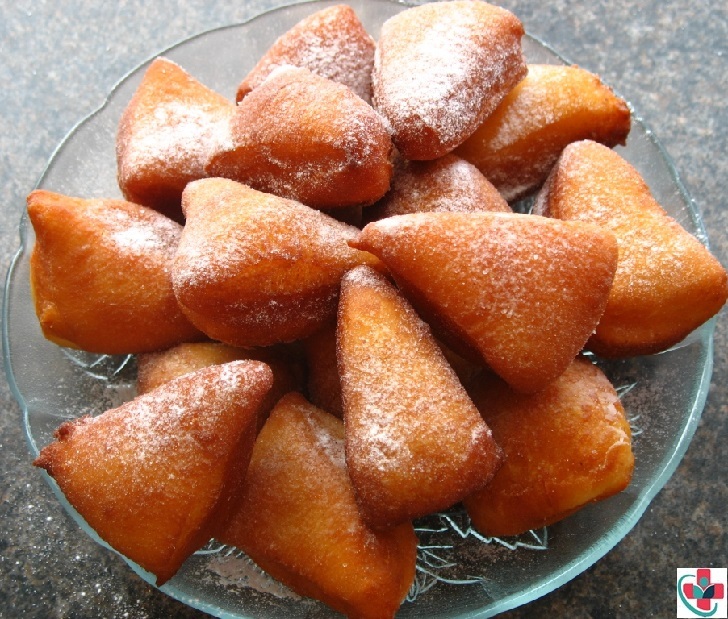 Mandazi (also known as Maandazi or Ndao and sometimes called Mahamri or Mamri) are East African donuts. My mandazi bite-sized, tender and AMAZINGLY good. Don’t believe me make it and see for yourself. Before you make these addictive bites. Here are some tips to keep in mind before you proceed!! – Make sure the water is not too hot. You don’t want it warmer than body temp. – If your mandazi does not rise in an hour, try turning on the oven to warm for 10 minutes. Then, turn it off and let the dough rise in the oven. – If all fails mix rapid rise yeast into the dough and knead it. – It is best to use freshly ground cardamom for this recipe you get a hint of crushed seeds as you bite into the dough an enjoyable experience. In this instruction, I'll show you how to prepare this dish (mandazi) and have it ready to be served in less than two hours. Warm heavy and light coconut milk in a saucepan and add yeast and sugar. Mix and let sit for 5-8 minutes until the yeast froths up. In a separate bowl, combine flour, cardamom powder and a pinch of salt. Pour the coconut milk mixture into the flour and knead into a dough for 10-15 minutes. Place in a bowl, cover with cling film and set aside to rise for 1 hour. Once the dough has doubled in size, punch it down and divide into 4 equal parts. Form each part into the shape of a ball and roll out into a circle about ¹/₄ inch thick. Using a knife form a cut in the center vertically and 1 horizontally so that you have 4 triangles. You should have a total of 16 triangles from all the dough. Cover with cling film or a cloth and let rise for 30-35 minutes. Deep fry making sure to keep splashing the hot oil on the top of the mandazi so that it puffs up. Fry for 30-45 seconds on each side or until golden brown making sure the oil is not too hot or too cold as this can cause the mandazi to crack. Enjoy with a cup of tea for breakfast or mbaazi for lunch or dinner.